In one of his many experiments designed to measure people’s rationalization of cheating, Dan Ariely rigged a vending machine to return both candy and the customer’s money. Although people could have filled their pockets with candy without paying a cent, on average they took no more than three or four items, he says. “Nobody took five because [they thought] five would be stealing,” he adds. The moral of the story: It’s okay to lie for peace at home. 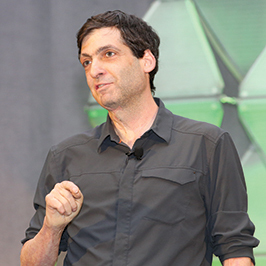 “When you think about it, that’s what dishonesty is all about,” Ariely said in his Fred Kavli Keynote Address at the 2016 APS Annual Convention in Chicago. Ariely, the James B. Duke Professor of Psychology and Behavioral Economics at Duke University, points out that how we think we would act often strays far from how we actually act in the real world. The idea of cost–benefit analysis does not describe our personal experiences, though. For instance, the theory behind the death penalty is that people considering whether to murder someone will think ahead and realize that committing that crime could result in a death sentence, so they won’t kill. But this is not how people actually function in the real world, Ariely said. “If we have the wrong theory, our solutions are going to be ineffective,” he added. 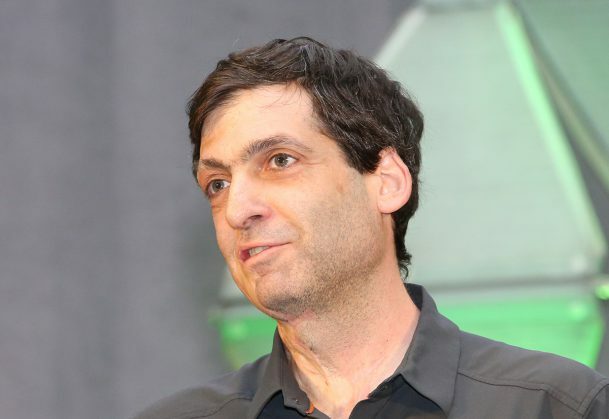 Ariely joked that it is difficult to get people to steal millions of dollars to fund studies on dishonesty. So he has employed several different strategies, such as running task-based experiments and conducting qualitative research with criminals. In one experiment, he and his colleagues had participants roll a die for a monetary reward corresponding to the number on the die. If the die landed on the number 5, the individual was paid $5, for example. Before rolling, though, participants decided which side of the die — top or bottom — determined the dollar amount they were to receive. Participants were instructed not to tell the researcher but to mark “top” or “bottom” on a sheet of paper. For instance, a die might land with 5 on the bottom and 2 on top. Ariely asked the participant who rolled the die, “Which side did you pick?” If the participant had picked “bottom,” no problem, but if they had picked “top,” they faced a dilemma — should they lie to make more money or tell the truth and make less money? In another die experiment conducted at Duke University, researchers presented participants with the following situation: You can earn either $4 or $40 depending on where the die lands. In every scenario, the experimenter said, “Sorry, you landed on the $4 one.” Then, the experimenter told the participant, “My boss isn’t here, so if you give me the $3 you received just for coming in, I’ll pretend you landed on the $40 one.” Ninety percent of students took the bribe. In another study, Ariely utilized a vending machine. The machine was set up to say that bags of candy cost 75 cents on the outside, but its mechanism on the inside was set to zero cents. So when people put money in the vending machine, they would get extra bags of candy, and all of their money back. A big sign on the vending machine read, “If there’s something wrong with this machine, please call this number”— in this instance, Ariely’s cell phone number. Nobody called, but nobody took more than four bags of candy. In another experiment, participants performed some tasks and then told the experimenter how much money they earned and immediately received that amount. In a variation of the same experiment, they came and asked for tokens instead, then walked 12 feet and exchanged those tokens for money. Participants were twice as likely to cheat when they requested tokens compared with when they asked for money. Additionally, Ariely talked about the role that conflicts of interest and dishonesty can play in the academic world. In an experiment conducted at Harvard University, the pattern of results confirmed the researchers’ hypothesis except for one outlier. Researchers recalled that the man who represented the outlier was 20 years older than the other participants and also had been intoxicated. When they pulled out his data point, the data was much more uniform. To better understand cheating and dishonesty, Ariely also took an anthropological approach to his research and spoke with various criminals. He tells the story of Joe Papp, an Olympic cyclist who went back to school to complete his undergraduate education. When Papp returned to cycling, he felt like he was performing as well as he had before college but that other cyclists were faster. One of Papp’s friends recommended that he see a physician, who wrote Papp a prescription for erythropoietin (EPO), a cancer treatment that increases the production of red blood cells. Papp gave himself the injections, but when there was a shortage of EPO, he imported and distributed EPO for his team and for other teams. He essentially became a drug dealer. But Ariely also shared results of experiments that, by priming people to think about their personal morals or ethics, tilt their behaviors in a more honest direction. He recounted experiments in which he and his colleagues asked one group of study participants to recall the Ten Commandments, and the other group to recall 10 books they had read in high school. The latter group largely engaged in widespread but moderate cheating when given subsequent reward-based tasks designed to measure honesty. But the group that recalled the Ten Commandments didn’t cheat at all. The result was the same when they reran the experiment on a group of self-declared atheists who were asked to swear on the Bible. Those findings have plenty of real-world applications, some of which already are being tested or implemented. One of the most noteworthy, Ariely pointed out, is having people put their signature at the top rather than the bottom of various documents (e.g., insurance forms); they’re essentially verifying that the information they’re providing is true before they have a chance to fudge it. Im interested in using this as an external source for an essay. Is there any information, such as the author and publication date, available. Please let me know . So if we are required to leave our name and email are we more likely to make our comments honest and objective? FYI – Dan does an excellent documentary on Netflix on this topic. I need the citations to this article. By the way, is the spelling correct for “die” or is it actually spell as “dice”. Thank you.